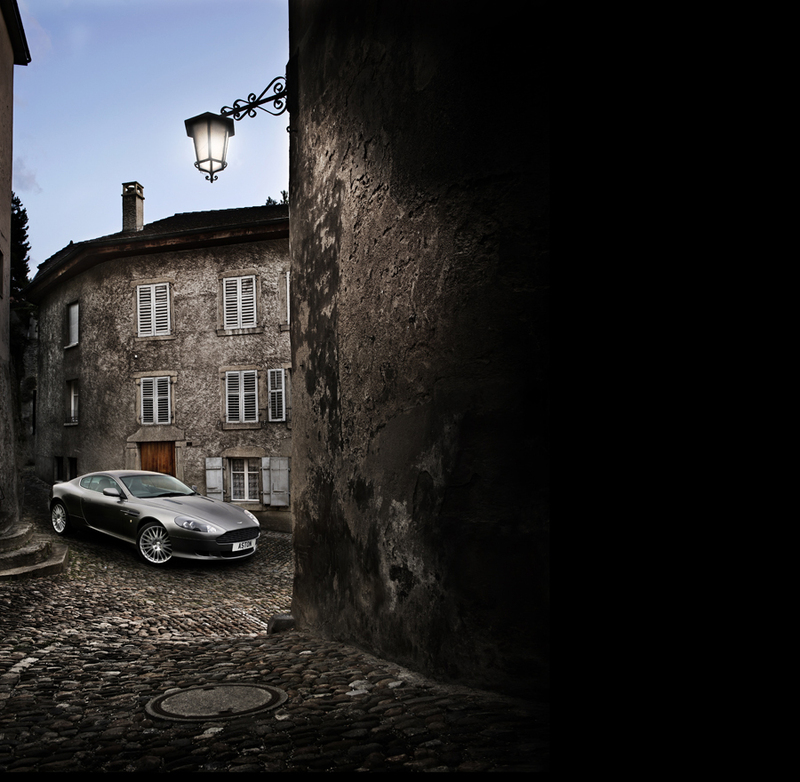 One of Aston Martins most iconic cars of recent years has without a doubt been the DB9 and this month commercial car photographer Tim Wallace worked on location in Switzerland to complete a shoot of this iconic car for Aston. 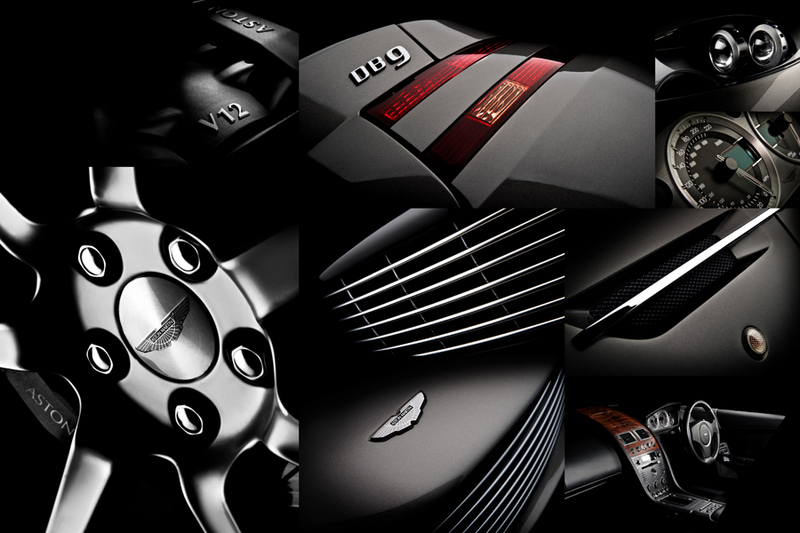 It was obvious that Aston Martin DB9 is pretty, but could it be the epitome of Britishness? Could it be a steel and wooden fist in a leather glove? 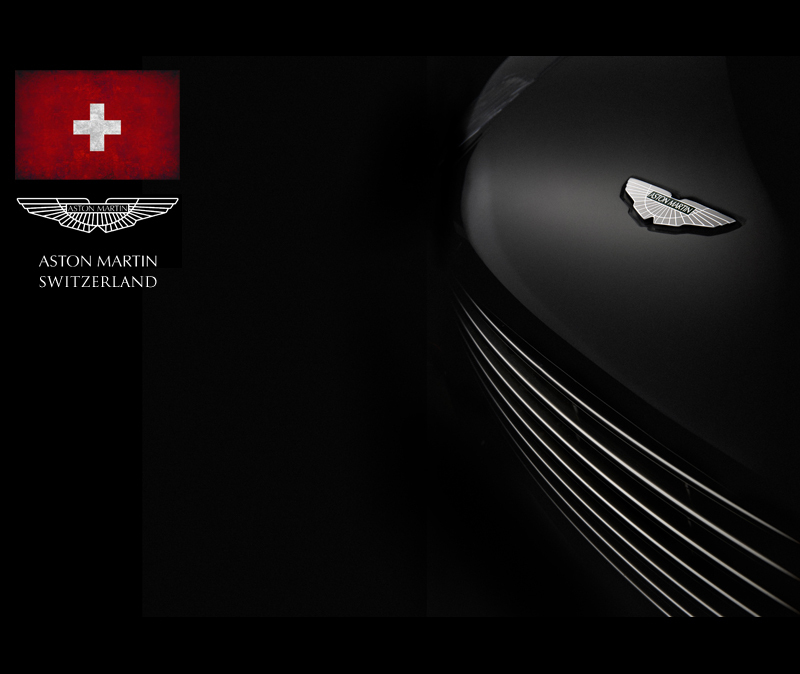 Could it be an Aston Martin? The factory these days looks like a UN convention. It’s owned by the Americans, the chief stylist is Danish, there’s a Japanese peacekeeper, and the big cheese is a German doctor called Ulrich Bez. Advertising men will tell you that when it comes to cars they need to attach a single word to the brand. So if you want a “safe” car you buy a Volvo. If you want a “reliable” car, you buy a Volkswagen. It’s not just brands either. There are single words that describe the national characteristics of a car too. A German car is “engineered”. A French car is “soft” and an Italian car is “exuberant”. I’ve always felt that a British car is “traditional”. We, as a nation, don’t like change. When the submarine was invented, for instance, the navy top brass dismissed it as “underhand and ungentlemanly” and we see the same sort of thing with our cars. They all hark back to the Blower Bentley, which set the scene by being big, heavy, powerful and green. Everything from the Bristol to the Allegro Vanden Plas and from the old Aston Vantage to the Jaguar XJ6 looked like a Spitfire from the outside and a Harvester pub on the inside. Lots of dark colours, lots of heavy wood and very little natural light. Given half a chance the British car designer would fit an open fire instead of a heater, and some horse brasses. It's argued that the DB9 should be like Tate Modern, which I think is as British as a coffee shop in Zurich. Pale woods, neat design and zinc are European, which is fine if you’re making furniture, but it’s not British. 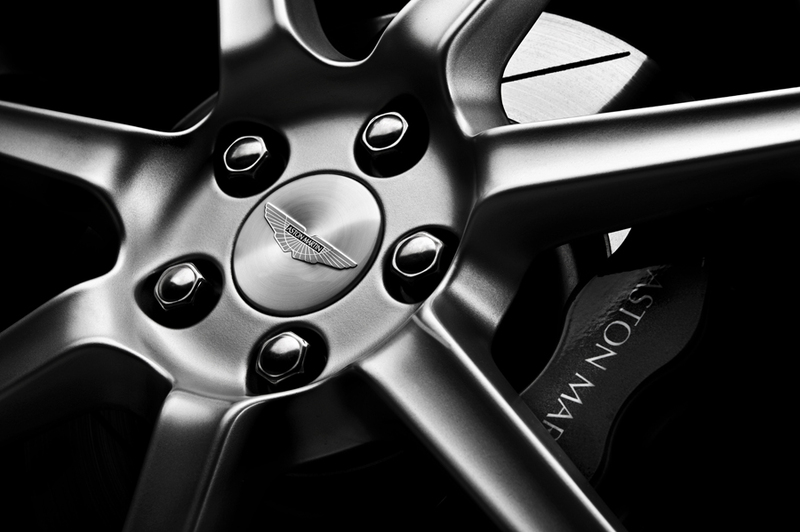 Turn the key, press the starter to engage drive, with absolute certainty, it is an Aston.